We kinda hate the word “disabled”. It has a very negative connotation and insinuates that a person who happens to be disabled is somehow unable to do certain things that an able-bodied person can. But there are a group of women and organizations who have been proving every critic wrong and defying every doctor’s diagnosis, proving that the human spirit is stronger than most people know. We’re already professed our girl-crush love for snowboarder Amy Purdy. She became the first ever double amputee to compete at an Olympic level this year at the Sochi Winter Paralympic games. How many able-bodied people can say they’ve done that? She started her own organizations helping other amputees get the best prosthetics so they can continue playing sport and competing as athletes just like her. Oh, and she showed us her moves on the dancefloor on Dancing With The Stars in 2014. Not bad for a girl who contracted bacterial meningitis at the 19. 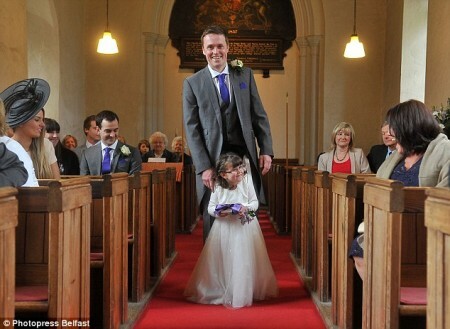 The word ‘disabled’ doesn’t even sit right when you talk about Amy! Another girl we gotta add to the list of disabled women defying society’s expectations of them is Sophie Morgan from the UK. The 17 year old beauty was paralyzed from the waist down after getting into a car accident at the age of 18 which shattered her spine. These days she raises awareness about the implications of dangerous driving, and campaigns to normalize disability in society. After her accident, she was of course bound to a wheelchair and was able to use her upper body. She thought she would never stand up or walk again. 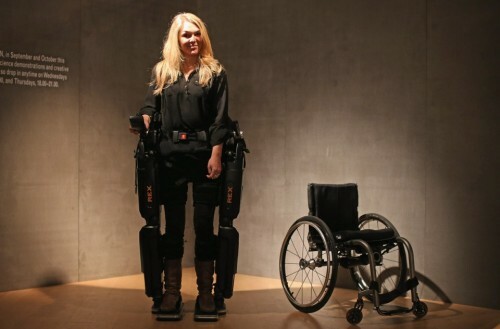 However, in 2012, a BBC news correspondent and friend of hers, Frank Gardner, who was left partly paralyzed after being shot in the leg while reporting in Saudi Arabia, told her about an exciting new invention called the Rex. It is an exo-skeleton which helps the wearer stand upright and walk normally! The invention was made by Rex Bionics in New Zealand. The carbon fiber robotic device is strapped onto the sides of her legs. It’s completely self-supporting and hands-free, and Sophie can control it with a joystick. 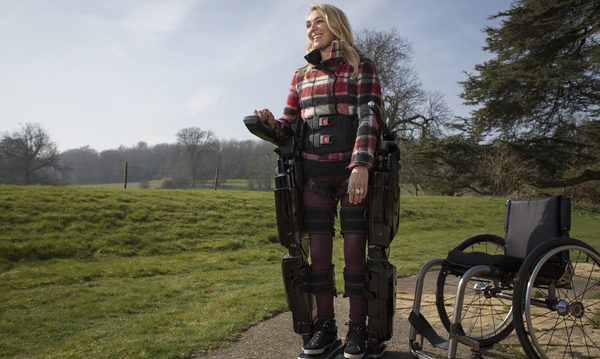 Sophie’s story is only one of a few examples showing the major benefits of an exo-skeleton. There are organizations around the world testing prototypes for rehabilitation purposes as well as military use for carrying heavy loads. After spending time testing out the Rex robotic skeleton in New Zealand, Sophie is now their ambassador, in the hope that her story will inspire other disabled men and women not to give up. Yet another important cause and achievement she can add to her already impressive resume! Speaking of impressive, it is not just disabled men and women who are breaking ground with technology. Debbie Elnatan, a mother from Israel, is giving hope to parents of disabled children everywhere. Her young song Rotem has cerebral palsy, but she wasn’t content to have him confined to a wheelchair for the rest of his life. She invented a special harness call the ‘Upsee’ which attached the parents legs to the disabled child, and allows them to walk normally. She showed her invention to a company on Northern Ireland called Leckey who funded the manufacture of the device, which today is available globally for parents to buy, via the Firefly website. Designers, engineers, textile experts and therapists from Leckey’s Firefly team have been working on the project since 2012. 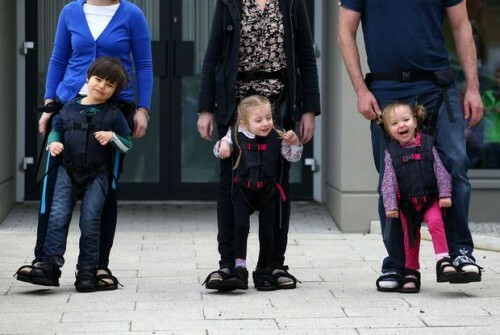 Her invention is giving children and parents all over the world hope that they will one day learn to walk again unaided. It is especially inspiring to see Debbie’s invention come out of a time of pain for her, which can be an inspiration to all of us in our hard moments. To see a group of women push the boundaries of “what is possible” in life and make a way for others is incredible. We all have times when we feel defeated and can’t see a way out of our situation. But that is where the strength of the human spirit shines the most, showing that we really are capable of anything if we stay focused. Thanks to an ordinary mother from Israel, many other children are able to walk again freely, and parents can see their kids in ways they never thought possible previously. There are many, many other examples we could list here, but just know that no matter who you are and where you are from, we dedicate to giving you the best stories from around the globe which have a message of hope and empowerment. On that note, check out the videos below of Sophie Morgan in the Rex suit, and Debbie Elnatan talking about how the Upsee changed hers and her son’s life forever.